A mini tractor with at least 18.0 ps and a rear three point linkage KATI or KATII and a standard PTO with 540 rpm clockwise is recommended. 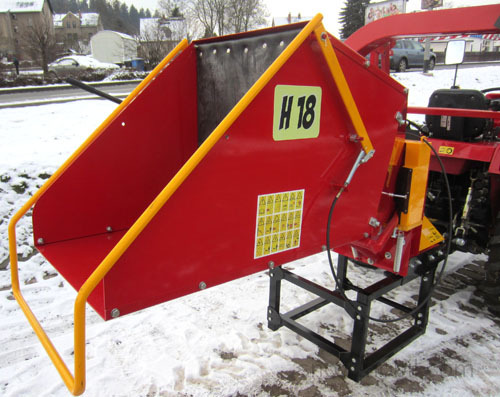 The chipper H18 is provited with a cutting disc on which 4 chipping blades are mounted. 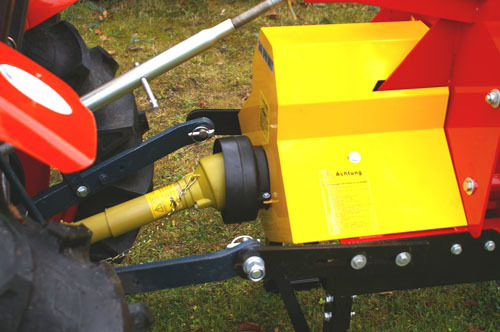 You can shred branches up to 200 mm with this cutting disc. 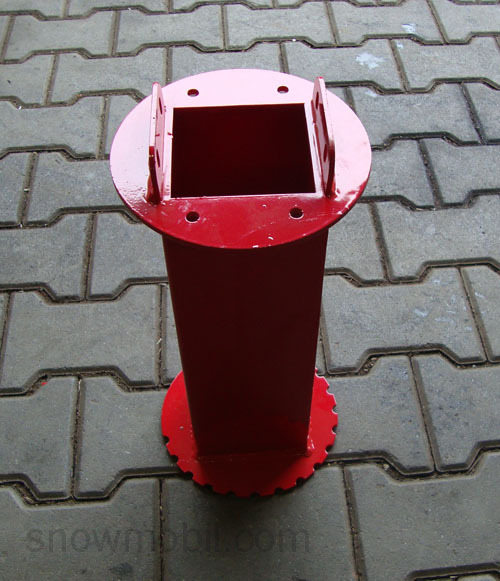 The cutting disk has a diameter of 65 cm and is electronically balanced. Power is transmitted via V-belt. The V-belt is permanently streched. The wood is transported via a massive feed roll to the cutting disc. 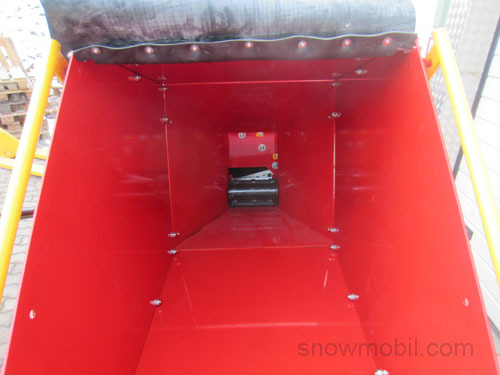 The feed roller can be stopped by the hand strap. 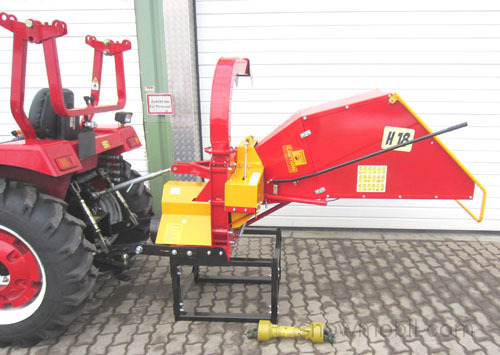 • It is driven by the PTO of a tractor with a PTO speed of 540 r / min. This 42cm long discharge extension is inclusive.